A 4,200 square foot, 3 bedroom, 2 1/2 bath single family residence designed for a couple who desired a comfortable environment for themselves, their children and grandchildren. The exterior is finished in a medium color brown brick with a rockface limestone base, limestone belt courses, and second floor limestone panels. 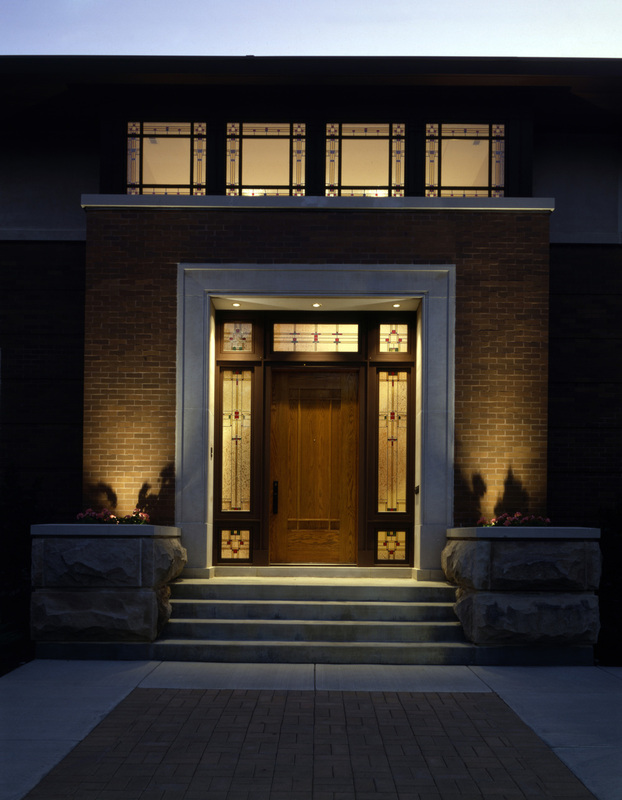 The front facade has a formal, decorative presence with custom designed leaded glass panels concentrated at the entry foyer. The interior is detailed in the Prairie Style, however, with a minimum of partition walls between living spaces. 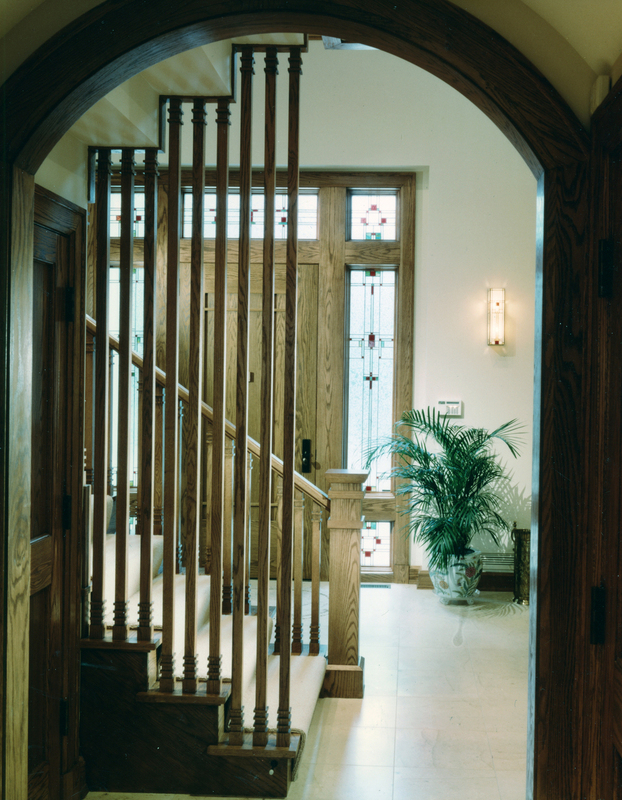 All interior woodwork and cabinetry is fabricated in oak hardwood and is custom designed to provide a consistency of detail throughout. The library which is fabricated in cherry with a dark stain finish at the owner's request provides a distinct and autonomous environment.